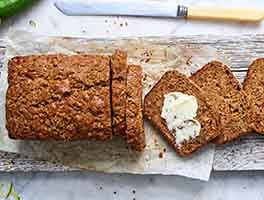 This honey-sweetened loaf gets its moist, light texture and golden color from mashed sweet potato, which also contributes the starch that helps keep the bread fresh. A typical potato bread, it's wonderful fresh, lovely for toast — and ideal for turkey sandwiches. We use SAF Gold instant yeast in this recipe, rather than regular instant yeast. The Gold yeast, formulated for sweet doughs, provides the steady, controlled rise helpful for breads high in sugar. 2 hrs 55 mins. to 3 hrs 5 mins. 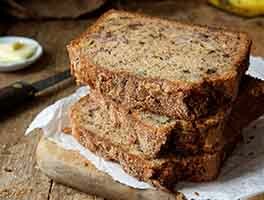 To make this loaf in a bread machine: Place all of the ingredients except the raisins and nuts into the pan of your bread machine, program the machine for Basic, White Bread, or Raisin Bread, and press Start. Add the nuts and raisins when the machine prompts you, or about 3 to 4 minutes before the end of the second kneading cycle. To make this loaf without a bread machine: Mix and knead the dough — by hand or mixer — until a smooth, supple dough is formed. Allow the dough to rise in a lightly greased bowl, covered, for 60 to 90 minutes, until well-risen and puffy. 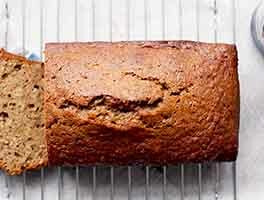 Shape the loaf into a log and place it in a lightly greased 9" x 5" loaf pan. Allow the loaf to rise for 60 minutes until crowned 1" over the rim of the pan. Bake the bread for 35 to 45 minutes, or until a digital thermometer inserted into the center of the loaf registers about 190°F. Remove the bread from the oven, turn it out of the pan, and let it cool on a rack. Store, well-wrapped, for 5 days on the counter, or for up to 3 months in the freezer. Note: This recipe originally called for an 8 1/2" x 4 1/2" loaf pan. As a result of reader feedback, the pan size has been increased to 9" x 5". Thanks to all who commented! We were gifted some freshly dug sweet potatoes a few weeks ago and after cooking two for lunch, we had about 1 1/2 C. left over. 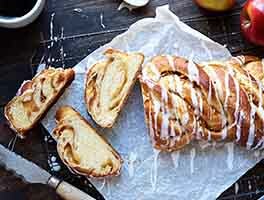 So, I scrolled through your website for recipes in which to use it and came upon the Harvest Bread. We just finished supper which consisted of turkey sandwiches on your harvest bread and we agree with the rest of the comments "this bread is a bona fide winner"!!! I used pumpkin pie spice, dried cranberries and SAF red yeast as the only changes and it made a wonderful full loaf-- can't wait to use it in French toast. This will be my new go-to bread for sandwiches when I'm looking for a change from plain ol' white bread. Great recipe, as always, from KAF! Hi Lisa, we'll get you to Harvest Bread perfection, don't worry! If your dough feels too sticky and difficult to handle, add a few tablespoons of additional flour. You can dust your work surface lightly with that extra flour so that it incorporates as you knead the dough. Also, try having a gentler hand when working with the dough next time. This will allow a skin to form on the outside of the dough that's not so sticky. I made this today for the first time, and since so many people raved about it, I went ahead and doubled the recipe. I am SO glad I did. This bread is ridiculous! I used almond milk and omitted the other nuts because of allergies, and I sweat I could eat the whole loaf in one sitting. The only problem I had was that the dough was extremely wet, so much so that I had to add quite a bit of flour to make it work. Next time, I think I'll start with 1/2 cup of water and see if I need more. Other than that, I didn't have any problems and will definitely make this again! Great recipe! 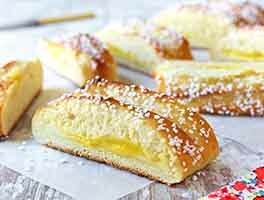 It's tender and sturdy and can go with either savory or sweet sandwich fixings. I baked mine up in my small pullman pan 2 days ago and made the best French toast with the last few pieces this morning. A perfect rainy day breakfast! 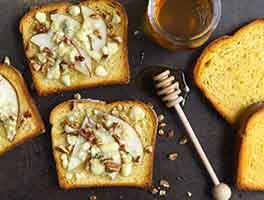 Might be my go-to French toast bread! This is a very nice sandwich and toasting bread. I made the bread yesterday. My husband absolutely loved it and I really enjoyed it warm out of the oven with honey butter. We made French Toast with it this morning.....it was awesome !! It's nearly gone ....back to the kitchen to make another loaf ! This beautiful bread gets rave reviews and requests to bake it again in my household. I bake almost exactly as written, adding golden raisins and using a long, 12 x 4 1/2 loaf pan. It is beautiful and does keep very well.